There are plenty of hotels available in Bhubaneswar of different ranges and facilities. 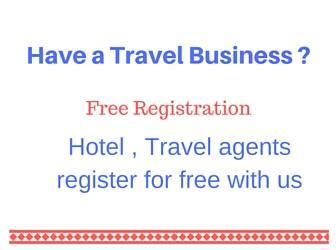 If you are for a business trip or for a pleasure trip you can get all types of hotels at different locations in this city. You can stay near to railway station or airport as per your requirement. In Janpath area quite a good number of hotels are available, these are close to Railway station and just 3 to 4 KM from Airport. Here is a list of hotels at different locations for all types of accomodation. Budget Hotel , centrally located. our Hotel Southcity, Bhubaneswar, odisha is blessed with nice decorated ac rooms, bar, restaurant, musical bar, marriage mandap, conference halls, swimming pool, spa, table-tennis court, lawn, saloon. PRICES ARE MODERATE. Swosti Hotels are strategically located close to all the major tourist attractions in Odisha. As far as MICE (Meetings, Incentives, Conferences and Exhibitions) tourism in Orissa is concerned, Swosti Hotels perfectly fits the bill.